The Memorial and Library Association also offers limited facility rentals to community groups, non-profit 501(c)(3) organizations, private businesses and/or individuals, and government agencies, in accordance with Library policies and State and Federal laws. Meeting rooms are not available for the benefit of private individuals, commercial purposes or fund-raising purposes. Each organization requesting use of the meeting rooms must submit an application and agree to abide by the facility use guidelines. Failure to do so will result in cancellation or refusal of reservations in the future. Use of the rooms does not in any way constitute an endorsement of the group’s policies and/or beliefs by the Library. The Memorial and Library Association Board of Trustees reserves the right to determine appropriate use of the rooms, to assess fees for such use, and to cancel or reschedule any programs or events, at its discretion, with or without cause or reason, and without liability. If you are interested in hosting a Corporate function, Private party, Family gathering, Informational workshop, or other special event at Westerly Library and Wilcox Park, or would like more information regarding fees and availability, please contact our Programs and Events Coordinator at (401) 596-2877 x342, fill out the form at the bottom of this webpage, or email baustin@westerlylibrary.org. Meeting room reservation fees help support the Memorial and Library Association and the many programs and services that are available at Westerly Library and Wilcox Park. We appreciate your support and we thank you for considering Westerly Library for your event! 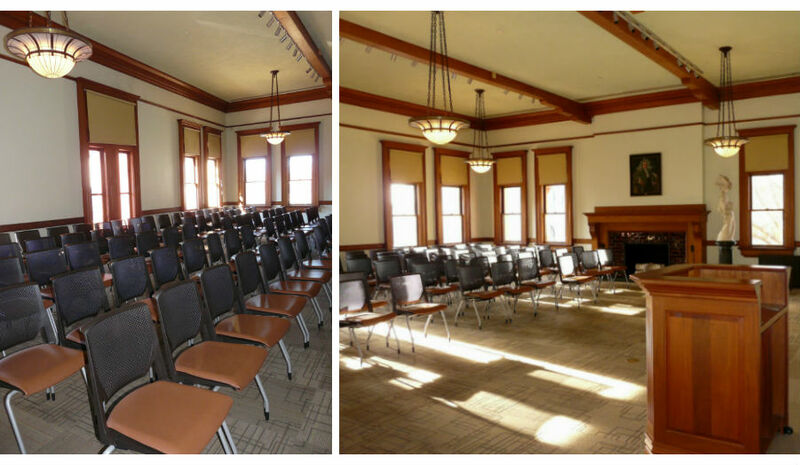 Auditorium - The Auditorium space is available for programs, meetings and special events. The space is pre-set for 100 guests in row (audience) seating. The 41’ x 34’ space can accommodate a maximum (standing room only) capacity of 155 people. The Auditorium has an adjacent (limited use) kitchen facility requiring pre-approval, cleaning fees, and is subject to availability. A baby grand Steinway piano is available in the Auditorium, it is the user’s responsibility to have it tuned. Third Floor Terrace Room- The Terrace Room on the third floor of the Library offers a multi-use functionality from public meetings and educational programs to workshops and private events, and can accommodate a maximum (standing room only) capacity of 133 people. The 43’ x 43’ space includes restrooms, kitchen facilities, and access to a Terrace overlooking Wilcox Park. 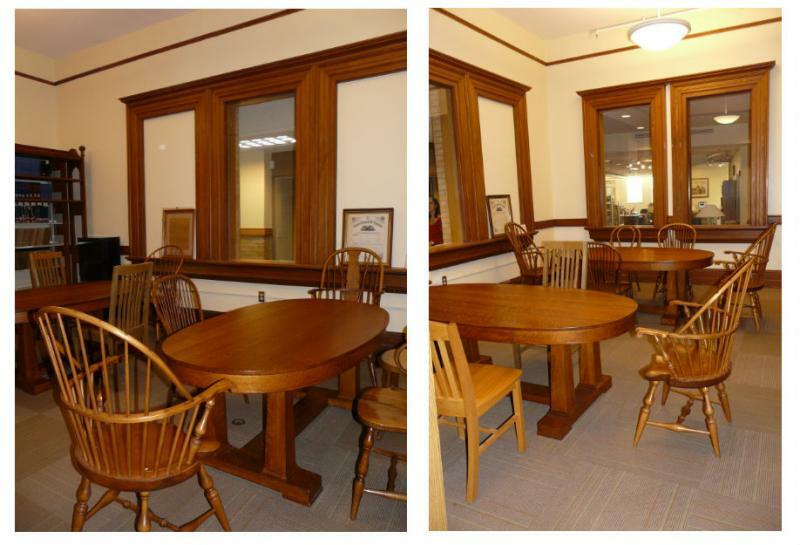 Roberts Room- The Roberts Room, located on the second floor of the Library is a small, semi-formal meeting room/conference room space that can accommodate up to 15 people for seated round table discussions or gatherings. Typical use of this space includes book groups, chess club meetings, and library programs such as the Teen Book Club. Hoxie Gallery- The Hoxie Gallery is a public art gallery that generally displays the work of local area artists. In keeping with the overall mission of the Memorial and Library Association, we offer art exhibits to the community by providing exhibit space for area artists. Each exhibit is booked for the period of one month. The Hoxie Gallery is available for limited private use, subject to the approval of the Library Director. Due to the nature of the space, and the range of art exhibits that are displayed, reservation policies and procedures differ for use of the Hoxie Gallery. Please inquire about Hoxie Gallery reservations. 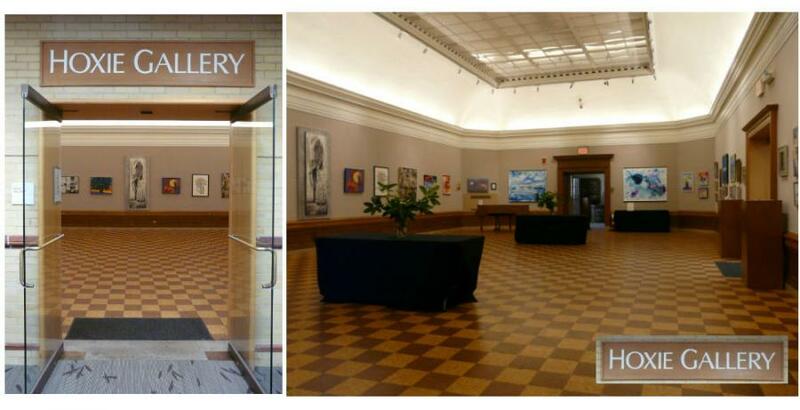 For information about exhibiting your artwork in the Hoxie Gallery please Click Here.